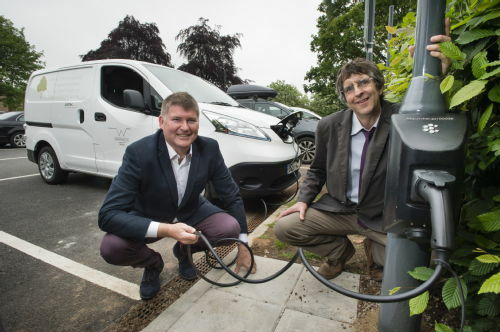 Lampposts could be the answer to electric vehicle charging, thanks to help from researchers at WMG, University of Warwick in bringing a new brand of charging points to market – some of which are powering electric vehicles on the University campus. Startup company char.gy created a new electric vehicle charging point product – which can be easily installed onto existing lampposts, resulting in no requirement to add another power supply or dig up the road or pathway – but it required a bespoke electronic circuit board in order for it to meet to EU standards for public charge points. The SME support team at WMG helped char.gy rapidly design, build and test a prototype of the new electronics board in order to achieve the certification deadlines. Because of this, char.gy was able to complete the product to time, and send it for testing – eventually making the charge points ready for public use. The University of Warwick not only supported the development of char.gy, but has also purchased “char.gys” to charge electric vehicles across the campus – including the University Estates Team’s new fleet of battery-powered Nissan vans. “We want to make it possible for anyone to own an EV – particularly those without off-street parking. char.gy’s mission is to make EV charging as simple as possible for drivers. 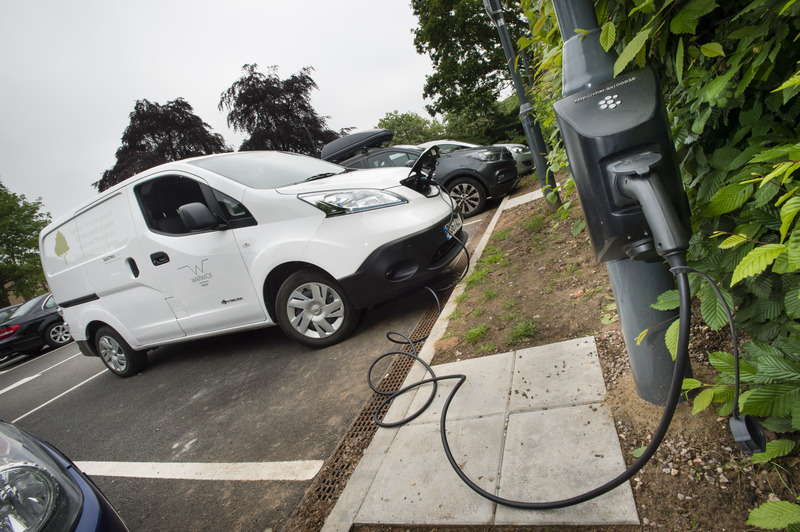 Through cutting-edge research and an evolving campus infrastructure, the University of Warwick is committed to accelerating the future of energy-efficient electric vehicles, and supporting the growing number of people who use them. The University of Warwick campus currently has four char.gy points – as well as numerous other electric vehicle charging points - and will purchase more in the near future. Image 1: CEO of Char.gy Richard Stobart (left) and Techonology Transfer Engineer for WMG David Norman with an electric van and char.gy point at the University of Warwick - credit University of Warwick. Click image for high res. Image 2: One of the new fleet of electric vans used by the Warwick Estates team at a char.gy point on campus - credit University of Warwick. Click image for high res. The WMG SME Group is a multidisciplinary team based at WMG, the University of Warwick, pioneering support for innovation in SMEs and larger businesses. We accelerate productivity and growth in these companies by helping them to utilitise research-led tools and techniques, building profitable and collaborative relationships. Over the past 10 years, the SME Group has worked with thousands of SMEs to help them address technology challenges, exploit new market opportunities and gain a competitive advantage. char.gy was established in 2016, with the goal of providing the opportunity for those without off-street parking to charge their electric vehicles on the street. char.gy is the only UK public lamp post chargepoint provider to be Alternative Fuels and Infrastructure (AFI) Regulations compliant and ELEXON certified. The AFI regulation was passed by the UK Government in November 2017, making it a legal requirement for chargepoint providers to support ad-hoc public charging. This legislation enables EV drivers to charge their vehicle at any chargepoint without the need for a particular subscription, membership, card or cable.